It seems that sphinx was the most frequent motif in Mestrovic’s visualisation of the idea of Yugoslavism. It appeared in the Pavilion of the Kingdom of Serbia in Rome in 1911, then in the concept of the Vidovdan temple, then in the Monument to the Unknown Soldier on Mount Avala, and two sculptures with this motif are kept in the State Art Collection in the Royal Compound. Since the Egyptian civilisation, the sphinx has been the solar symbol, protector of universal power, symbol of eternity and wisdom. The representation of this mythological being with the body of a woman-lioness and wings is frequently found in the zenith of Secession. 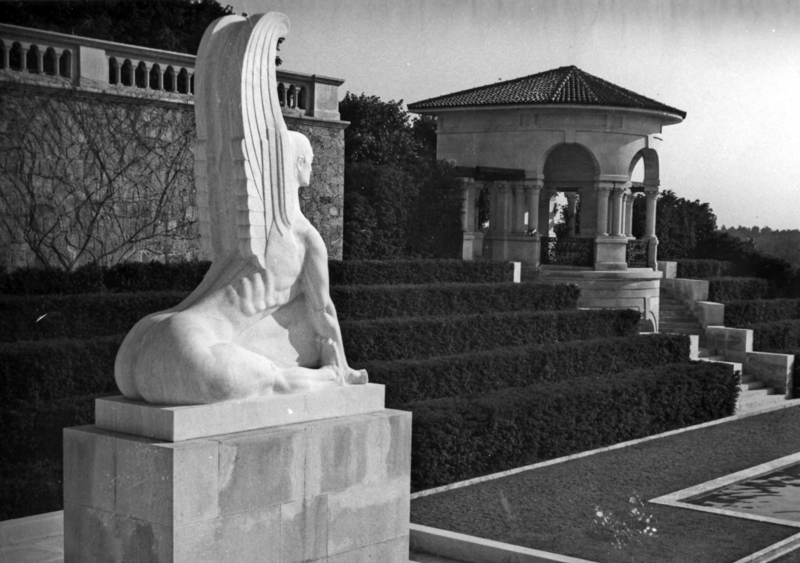 This Sphinx was commissioned for the Court in 1933 and the artist first made a model in bronze (which was purchased after the order of King Aleksandar I and is reproduced in this book in the section Other works in the Collection), and later in marble, intended for the public space of the Court garden. 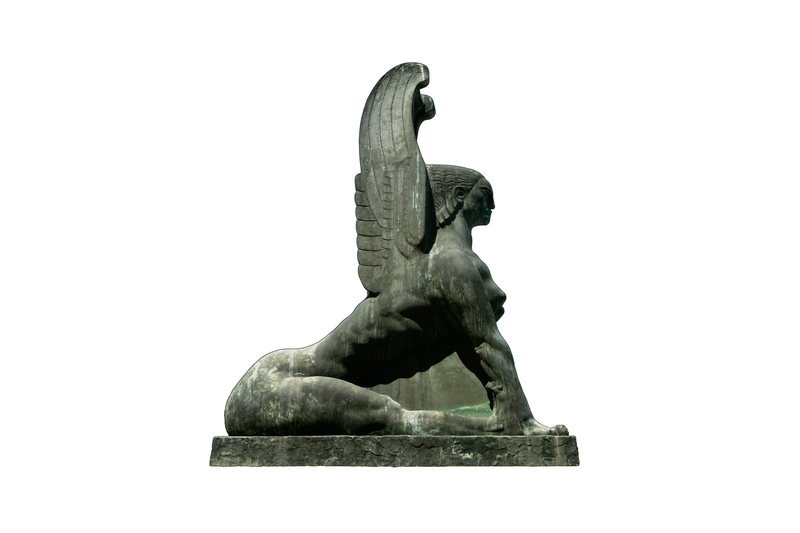 Judging by the photograph from the collection of the Military Museum in Belgrade, the marble sculpture Sphinx was situated in the vicinity of the Royal Palace, next to the sculpture of Milos Obilic. 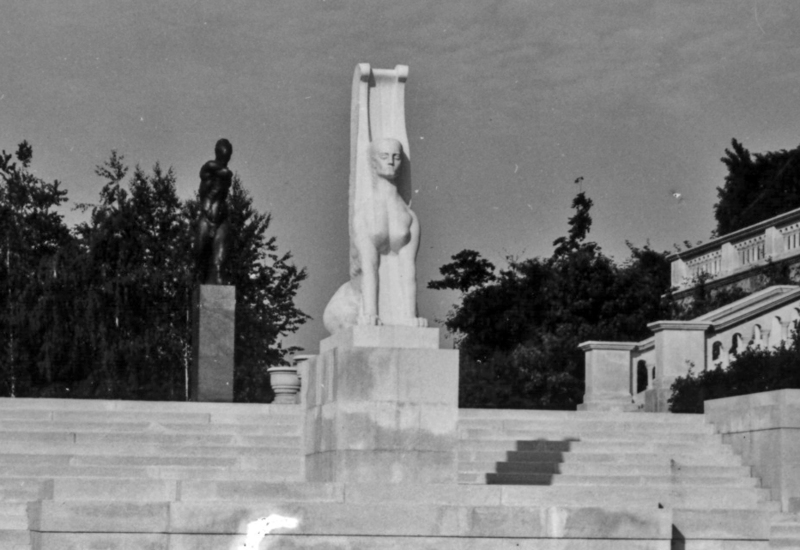 The marble Sphinx was damaged during the Second World War and was replaced in 1957 with the bronze cast which still stands in the Court garden. 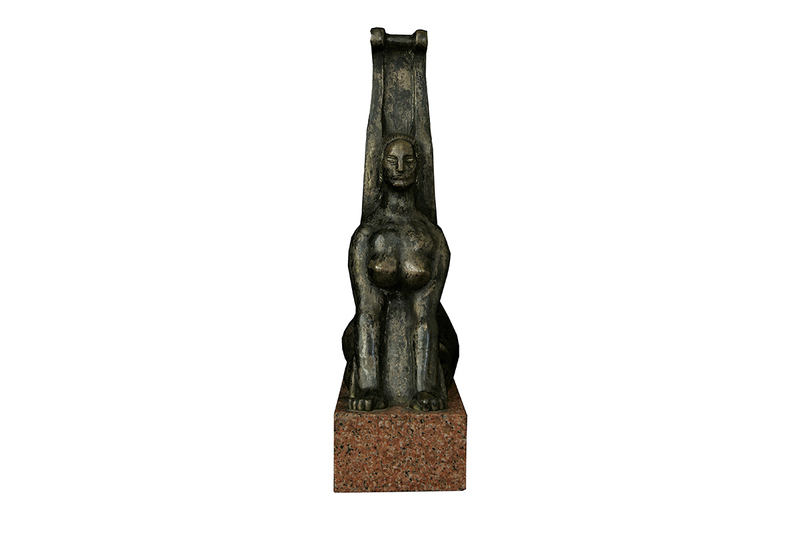 The inventory books for 1957 record that three sculptures of Sphinx by Mestrovic, a marble one, a bronze cast from 1957 and a small bronze model were in the Compound. Since the original work in marble was damaged and there was a possibility of further decay, the CPR decided to give the sculpture to the National Museum in Belgrade. The marble sphinx was then transported to the sculptural workshop of the quarry in Vencac, near Arandjelovac for restoration. After the restoration, the sculpture was placed in the park of Bukovicka Banja and it still stands there as a symbol of the town.